"The only way to become one with the universe is to trust it." "The awakening does not come to you. You find it in you"
Thank you for visiting my website. I hope you find the content informative and relevant to what you are seeking at this moment in time. I am a psychic tarot practitioner and therapist and it’s fair to say that my jobs are equally unique and often misunderstood. Thankfully times are changing. Gone are the times where tarot was for the “wacky” and therapy for the “crazy”. Many of us have been inspired to seek new horizons and look for the meaning and purpose regarding ourselves, our experiences and relationships with others. My job as a psychic/therapist enables me to work with these themes from different angles. There are interesting parallels. Tarot life is adrenaline full. Each reading will give me a different picture and the flashes of insight get brighter as the reading unfolds. I also facilitate workshops where I feel energized by the connection, the sharing and the atmosphere. In counselling, the client is the expert, not me so my focus is shifted from talking to listening. The long term relationship allows more time and space for deeper explorations so that important truths can emerge. Therapy is an internal growth process, a true learning curve that can lead to profound transformations. I see my psychic and therapeutic work as 2 paths that might lead to the same destination but following different routes. 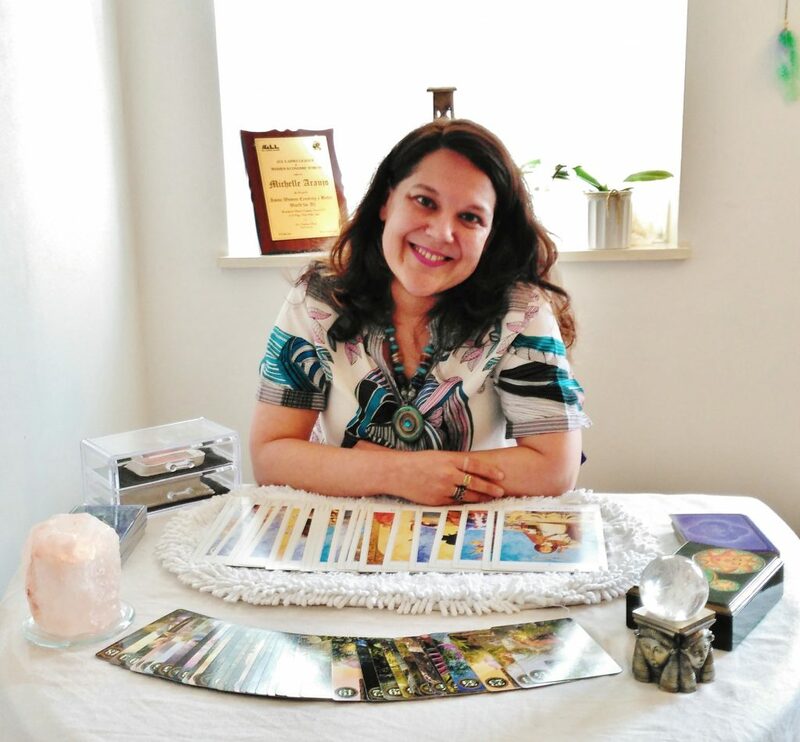 To preserve the authenticity of each road I do not give tarot readings to counselling clients or “therapize” people seeking a psychic reading. It is important to keep this integrity as a mark of respect to clients who expect me to work in one specific capacity. In my view mixing the 2 would dilute the very essence of our exchange. I work in different ways but all sharing in common my dedication and commitment to offer a safe space of genuine empathy and regard where you can explore your feelings and issues without fear or judgement. Hopefully my contribution will be helpful and the awareness you gain from our time together will put you in a better position to make choices you are happy with. If you would like more insight on what I do or anything related to my work, feel free to get in contact. It would be lovely to hear from you.